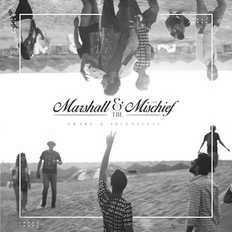 Marshall & The Mischief | OK Listen! The Mischief are an edgy and fun-loving 4-piece rock outfit, who apart from being close friends and partners in crime, are also some of the meanest indie musicians from the subcontinent. The band’s music is a culmination of vocalist Yohan Marshall’s lyrics and song-writing coupled with clever and heart warming arrangements by this band of brothers. Performing predominantly original sets, with a few covers that the band collectively enjoy, The Mischief are a big-sounding independent band with a unique writing style that allows the listener to interpret the meaning of their music on a several different levels. The band’s USP is being able to project hard hitting issues whilst keeping their audience grooving.